oh that made me a little teary eyed, so sweet. And what a thing to do, I would never think to ask like that after a funeral. It's a perfect thought. 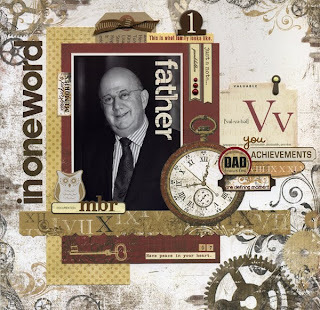 such a sweet LO~awesome tribute to your dad! Awesome in every way. I love that someone in the family thought to go around the room and ask everyone for one word. That is so special to have that memory and those recollections. I love your page. What a neat little project and so fun to remember what others thought. Nice layout.